The Detroit Community Technology Project in collaboration with the Detroit Digital Justice Coalition, hosted its third “Data DiscoTech” at the Boggs Education Center on June 2, 2016. At the Data DiscoTech young people learned about what data is, unique ways to create data visualizations, and how to collect and analyze data. This event was one of a four-part series of “Data DiscoTechs,” community events that educate Detroiters about the city’s new open data portal and what data justice can look like. This series is part of a two-year research project supported by the Digital Trust Foundation. We focused on youth activities at this Data DiscoTech because every resident in Detroit should have data literacy, including kids, so they can navigate and shape the future of Detroit as it moves towards a smart city infrastructure. Some stations that were popular with youth included “Changing the Headlines,” where participants learned basic html by changing the titles of headlines and images on news websites. In another station, youth could help sew a “data quilt” where each quilt panel represented what they wanted to see in their neighborhood. At the Data DiscoTech we address fundamental questions that typically get overlooked or arise too late in open data projects. These include: What are the forms of data that are collected about us? What are the potential harms and benefits of open data? What kind of culture do we want to grow around our use of data and technology? These DiscoTechs are guided by the Digital Justice Principles and provide intergenerational opportunities to demystify data and technology for even the most novice of technologists. Each station has a volunteer station manager who walks participants through a step-by-step process of facilitating their learning or discovering of technology. 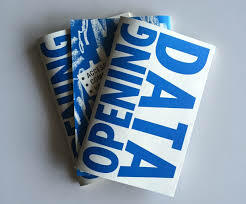 At these events you can also pick up a copy of the Opening Data Zine, which breaks down open data through a series of articles written by Detroit Digital Justice Coalition members and colleagues. Wondering what this looks like in practice? Here is a video recap of our first Data DiscoTech held in September, 2015 at the Samaritan Center in Detroit. Do you have an interesting and fun way to demystify data? Email tawana@alliedmedia.org to find out how to get involved in the Data DiscoTech series. You can also join us at the Allied Media Conference in Detroit June 16-19th to learn more about data justice and community technology.